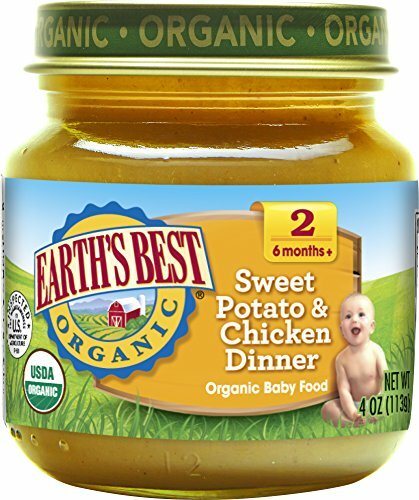 Continue your baby’s love of veggies with Gerber 2nd Foods Sweet Potato baby food. Gerber 2nd Foods baby food helps expose babies to a variety of tastes and ingredient combinations which is important to help them accept new flavors. All our recipes are made with fruits and veggies that meet Gerber’s high quality standards. This recipe includes a lot of care, love and 2/3 sweet potato in each tub. These sweet potatoes were grown using our Clean Field Farming practices. 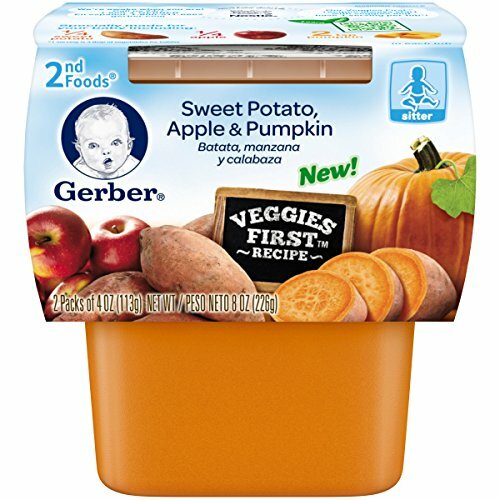 Continue your baby’s love of fruits and veggies with Gerber 2nd Foods Sweet Potato Apple Pumpkin baby food. Gerber 2nd Foods baby food helps expose babies to a variety of tastes and ingredient combinations which is important to help them accept new flavors. All Veggies First recipes start with a vegetable to ensure one serving of veggies in every tub. This recipe includes a lot of love, care, 1/4 sweet potato, 1/4 apple and 2 tsp pumpkin in each tub. 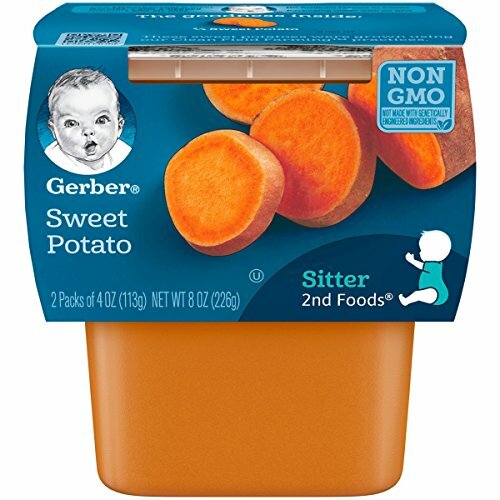 Gerber Nature Select 2nd Foods Sweet Potatoes & Corn.Sitter.Supports healthy growth & development.Made with 100% natural vegetables. 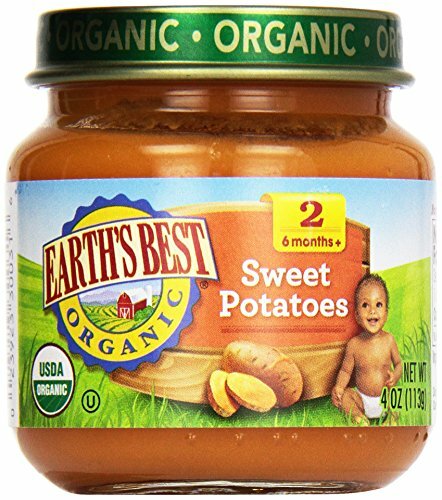 Continue your baby's love of veggies with Gerber 2nd Foods Sweet Potato baby food. 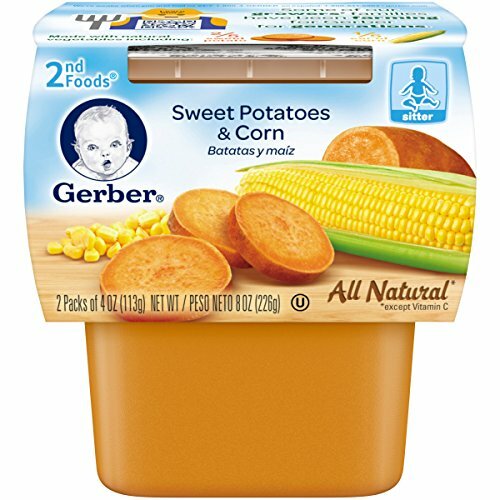 Gerber 2nd Foods baby food helps expose babies to a variety of tastes and ingredient combinations which is important to help them accept new flavors. 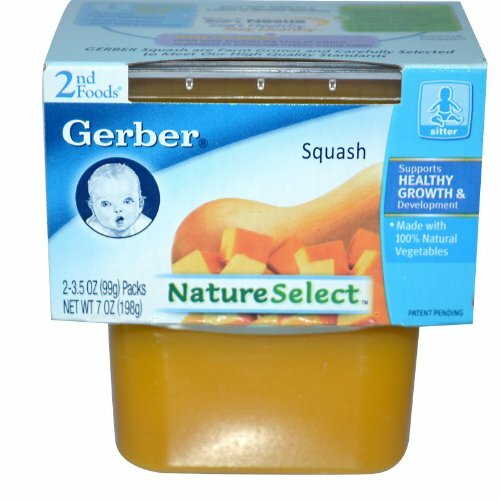 All our recipes are made with fruits and veggies that meet Gerber's high quality standards. This recipe includes a lot of care, love and 2/3 sweet potato in each tub. These sweet potatoes were grown using our Clean Field Farming practices. 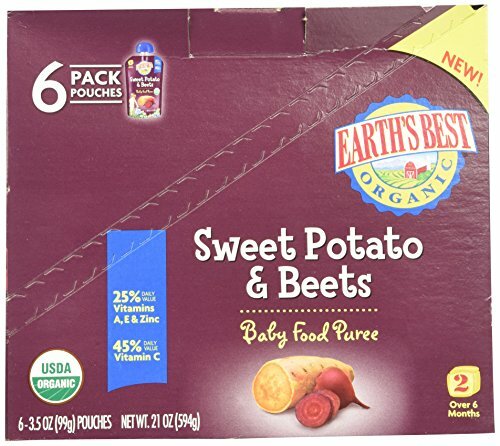 Gerber 2FD Sweet Potatoes 2-3.5 OZ.This makes Sweet Potatoes a good addition to the baby's diet-so be sure to feed your baby Gerber 2nd foods Sweet Potatoes.